Ms. Annunziata is from Westchester County, New York. She holds a bachelor’s degree in Sociology from Boston College, where she became passionate about equal and innovative education. Prior to joining the Match Export team, she was a member of Match Corps XIII at Match Community Day. Outside of work, Ms. Annunziata loves spending time with her family, running, and reading about education. Prior to joining Match, Ms. Kaplan was a Vice President at the National Center on Time and Learning where she led the organization's knowledge management and dissemination work and developed materials and tools to support effective school redesign. She has produced numerous reports and videos on effective school practices. Ms. Kaplan holds a BA in Comparative Literature from Princeton University and a Master’s in Public Policy from Harvard University's Kennedy School of Government. Prior to joining Match Export, Mr. Mallon worked as the Assistant Director of Digital Strategy for Facing History and Ourselves, working to develop their digital products and to scale their program delivery. Earlier in his career, Mr. Mallon worked as a small donor fundraiser and political campaign recruiter. He holds a B.A. in History from University of Illinois, Urbana-Champaign. Ms. Pascaud is originally from Toulouse, France. She holds a B.A. in International Development and History from McGill University. Before joining the Match Export team, she worked as a Support Engineer and Community Specialist at HubSpot, where she advised customers on the inbound marketing strategy and software, and moderated the company’s Community platform. She has also worked in radio production and content creation in the tech startup realm. Ms. Pascaud enjoys listening to podcasts, teaching herself new skills, and biking around Boston. Mr. Trudeau writes, films, produces, and manages all of Match's digital media content. Prior to his current position, he joined Match Corps III in 2006 and served for three years as Director of Match Corps Recruiting. A graduate of the Match Teacher Residency, he taught English and Creative Writing for three years at KIPP: King Collegiate in the San Francisco Bay Area. Mr. Trudeau holds a degree in English Literature from Brown University. Ms. Britton began her career in education through Teach For America Massachusetts, where she taught 7th and 8th grade mathematics. She then joined staff at Teach For America as a manager of teacher leadership development, supporting and coaching their new math teachers of all grade levels. She has a Bachelor's degree in mathematics from Union College and a Master's degree in curriculum and teaching from Boston University. Mr. Collins earned a Bachelor's Degree in Mathematics from Boston College in 2003. He joined the Match Community as part of the original Match Corps tutors at the Match High School and went on to teach a variety of math courses for the next seven years. Mr. Collins also served as the Dean of Students for two of those years and ended his 9th year at the high school as the Dean of Students and Data Manager. He was more recently the Data Manager for all of Match Charter Public School. 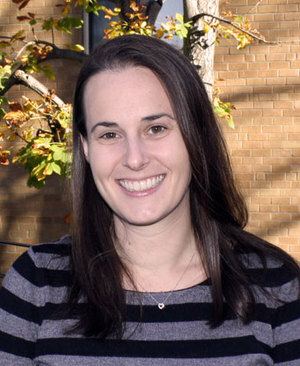 Ms. Lyneis studied Psychology at the University of Vermont. Following her passion for teaching, she joined Teach for America in rural Louisiana where she taught 2nd grade for three years. Ms. Lyneis then taught 3rd grade at a charter school in Houston, and then returned to Louisiana to teach 4th grade while earning her Master’s in Educational Leadership. Ms. Lyneis joined Match in 2012 as a teacher teaching kindergarten, third and then fourth grade. Ms. Nicoll has a B.A. in History from Wake Forest University and an M.Ed. from Harvard University. Ms. Nicoll began her career as a high school history teacher first at City on a Hill Charter School and then at Charlestown High School. Following that, she served as a history teacher, a reading teacher and subsequently principal of Roxbury Prep Charter School. Ms. Therrien Wells is the middle school Math Curriculum Director at Match. She began her career at Roxbury Preparatory Charter School, where she served for 10 years teaching 8th grade math and 5th grade special education. Prior to joining Match, Ms. Therrien Wells also worked at the Achievement Network as the managing director of the math assessment team. She holds a Bachelor’s degree in Mathematics from the University of Rochester, and a Master’s degree in teaching from Tufts University. She enjoys corny math jokes and spending time outdoors with her family. Ms. Gambell grew up in New Haven, CT. She holds a Bachelor’s degree in gender and women’s studies from Pomona College and a Master’s degree in English literature from Middlebury College. Ms. Gambell began her career at Achievement First's Amistad Academy teaching 7th grade English, and later taught 8th grade English at KIPP New Jersey’s Rise Academy. Most recently she was the Middle School Literacy Curriculum Director for KIPP New Jersey. Ms. Gambell enjoys hiking with her dog in the Green Mountains of Vermont.